Primarily serving the heating and cooling needs of Northeast Ohio residents and businesses, we focus on the Akron, Ohio area. As a local business, we look forward to serving our neighbors with the best possible heating and cooling systems available. Our many years of experience in the heating and cooling industry enables us to choose the best, most efficient, and most cost-effective option available for you. Whether it is heating, cooling or air quality, we have the knowledge and expertise to service any HVAC system. In addition to HVAC systems, we also install and service boilers and tankless heaters for older and commercial locations. Jamie’s is a well known name in the flooring business in the Lorain, Erie and Cuyahoga Counties area. 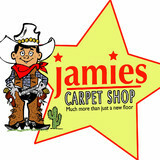 From the establishment of the first Jamie’s in 1965, Jamie’s Carpet Shop stores have always been locally owned and operated. 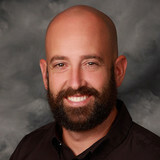 Chris Zeitler, a principal in each of the Jamie’s operations, has over thirty years of experience in the floor covering industry. When it comes to spray foam insulation installers, you’d have to search far and wide to find a company with the level of expertise, professionalism, and responsiveness Spray Foam Solutions has accumulated. We are experienced in installing spray foam in all types of buildings, including residential, commercial, agricultural, industrial and steel frame. Better still, no one beats our phone response times of two hours or less. As a full-service spray foam insulation contracting company, our goal is to fully insulate your home or business, making sure it is as healthy, energy-efficient and environmentally friendly as possible. We’ve installed millions of board feet of spray foam insulation, building an enviable reputation for dependability, integrity and superior knowledge in building science and energy efficient design. We’ve built this profile to not only showcase what we do as spray foam insulation installers, but also to be a source of information for you. If you have question, or would like to schedule a consultation, just contact us—we are only a phone (foam) call away! Heating and Cooling for residential and commercial businesses. We have the best financing in the business including several months same as cash and 3 different payment options. Our warranties and guarantees are 2nd to none as we make sure your unit is installed and maintained so it will last you many years. Our employees are all background checked and we are a proud veteran-owned business with over 20 years experience. WeatherKing Heating and Air Conditioning offers the highest quality products and services for Summit County’s heating and cooling needs. Privately owned and operated, the company takes pride in their A+ rating with the Better Business Bureau. WeatherKing Heating and Air Conditioning is also an authorized ENERGY STAR provider and included in the top 15% of Lennox Premier Dealers in all of Ohio. As home and business owners themselves, the company serves customers the way they like to be treated. The company’s techs are friendly, courteous, and highly trained in the field. All work is done correctly—and fast! The team also provide protective covers and clean up after themselves upon the project’s completion. For more information about WeatherKing Heating and Air Conditioning or to schedule a service, call the office today. The company is also available for 24-hour emergency HVAC services in Summit County including the Medina, Akron, and Cleveland communities. Eberts Heating & Cooling is a family owned heating and cooling contractor. We have been in business since 1965. We are a Trane Comfort Specialist and an authorized, factory-trained WaterFurnace geothermal dealer. We are also a Diamond Dealer for Mitsubishi ductless heating and cooling equipment. Whether you have a clogged toilet, broken air conditioning system, faulty water heater, or more, Arco Comfort Air can help you today. Since 1955, their technicians have been helping customers all throughout Greater Cleveland and Northeast Ohio with their HVAC needs. As a result, they have a comprehensive understanding of HVAC systems, fixtures, and appliances. Their technicians also offer 24/7 emergency services, so you can be sure that you are always in good hands. When you need effective and personalized HVAC services in Cleveland, they are the company to call. Contract them today for a free consultation and cost estimate. They will visit your home or place of business, thoroughly inspect your situation, and provide you with well-informed advice regarding your best options for moving forward. Their knowledgeable technicians will lay out all options that best fit your needs as well as your budget. Also, they offer a wide variety of financing options and have a package for budgets of every size. Call them today and find out why they are the number choice for HVAC and plumbing services for countless people living in Ohio. Since 1947, Luxury Heating Co. has been Northern Ohio’s most innovative and experienced heating, air conditioning and indoor air quality specialist. Our well educated, NATE Certified installation teams combined with the industry leading manufacturers provides your home with year round efficiency and stability. We guarantee that you’ll feel comfortable allowing our family work for yours! As we have entered into our 23rd year of business, we will gladly serve you with all of your heating and cooling needs. Our employees thrive to offer custom comfort solutions to each and every client we serve. We look forward to serving YOU! Family Owned and Operated. Outstanding reviews, BBB A+ Rated and Angies List A Rated! Unbeatable Prices!! Generally, Parma Heights HVAC contractors or HVAC technicians work with or run companies that repair or install heating systems and air conditioning units for homes. But they have specialized services too. For example, if you are a wine collector and you are thinking of installing a wine cellar in your Parma Heights, OH home, you might hire an Ohio HVAC professional who specializes in refrigeration work. HVAC professionals can use their skills to help you to save money on your Parma Heights, OH home’s energy bills by installing radiant barriers in your attic or split-zone heating and cooling systems to heat rooms like solariums while cooling upstairs bedrooms during warmer temperatures. Find HVAC contractors on Houzz. Look in the Professionals section of our website and search for Ohio HVAC contractors. Read reviews and see how an HVAC contractor might approach your Parma Heights, OH home’s heating and cooling challenges.